The water gushes down a small cliff and into a deep pool. The current is swift and the pool has a steep rock face on one side. 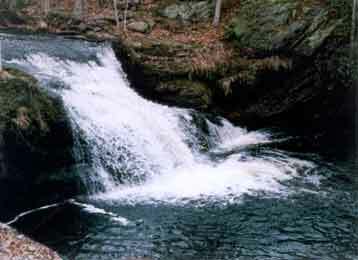 The falls are very near the corner of Waterford, East Lyme and Montville.